1. The Tipp Tatler reserves the right to edit, revise or reject any advertising. 2. All advertising is subject to the approval of the Publisher of the Tipp Tatler. 3. The Tipp Tatler shall be under no liability whatsoever by reason of error for which it may be responsible in any advertisement beyond liability to give the advertiser or advertising agency credit for as much of the space occupied by the advertisement as is materially affected by the error; and the Tipp Tatler’s obligation to give such credit shall not apply to more than one incorrect insertion under any contract unless it is notified of the inaccuracy prior to the deadline for repetition of the insertion. In order to qualify for an allowance, claims for errors must be made to the Publisher within thirty (30) days from the date of invoice. The Tipp Tatler will make the final determination on the amount, if any, of a credit allowance. 4. The Tipp Tatler accepts no liability for its failure, for any cause, to insert an advertisement. The Tipp Tatler accepts no liability for reductions in circulation or distribution caused by acts of God, strikes, labour disputes, suspension of publication, failure of transportation or any other cause beyond the control of the Tipp Tatler. 5. 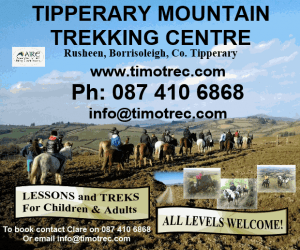 All positions of advertisements are at the option of the Tipp Tatler. In no event will adjustments, reinstatements or refunds be made because of the position and/or section in which an advertisement has been published. The Tipp Tatler will seek to comply with section requests and other stipulations that appear on insertion orders, but cannot guarantee that they will be followed. Office managers and account executives are not authorized to modify this provision or to guarantee positioning on behalf of the Tipp Tatler. The sole person with this authority is the Publisher. Misclassification of classified ads is not permitted. 6. The Tipp Tatler reserves the right to convert all advertisements published in the Tipp Tatler into digital and audio-text formats within other Tipp Tatler products. 7. The advertiser and/or advertising agency shall pay the cost of composition of advertisements set but not used. 8. Charges for changes [not corrections] from original layout and copy will be based on current composition rates. 9. The Tipp Tatler will not be responsible for errors appearing in advertisements which are placed too late for proofs to be submitted or for errors due to late delivery of printing material from the advertiser or advertising agency or from a third party designated by the advertiser or advertising agency as a source for printing material. 10. Cancellations, changes of insertion dates and/or corrections must conform to published deadlines. 11. Cancellations or changes cannot be guaranteed in classified advertising between the time the ad is ordered and the initial publication. 12. Cancellation of multi-insertion orders must be confirmed in writing or by email or fax. 13. The Tipp Tatler does not assume any liability for the return of printing material in connection with advertising. 14. Claims for errors must be made within 30 days following the publication date. 15. Advertisements must be paid for within 30 days of insertion or are subject thereafter to a service fee of 1.5% per month (18% per year) until paid. However, certain advertising categories will require prepayment as specified in the rate cards. Acceptable forms of prepayment are credit card or advertiser or agency guaranteed check. When any part of an account for advertising becomes delinquent, then the entire amount owed shall become due and payable and the Tipp Tatler may refuse to publish further advertising. In this event, the advertiser or agency shall pay for advertising space actually used according to the rate earned at the time of delinquency. 16. The advertiser and agency shall be jointly and severally liable to the Tipp Tatler for the payment of advertisements. Cash discounts are not available. 17. Advertisers who have not held contracts before must pre-pay in full the total cost of the contract. 18. There will be a €25.00 charge for any check not honored by the bank. Returned checks must be replaced with cash, bank check, money order, American Express, MasterCard, or Visa within 48 hours of notification. The Tipp Tatler reserves the right to withhold further advertising pending receipt of replacement funds. 19. In the event an account is referred to a third party for collection, the advertiser and the agency agree to pay separately or collectively the collection and/or attorneys’ fees and disbursements of the Tipp Tatler, as well as the court costs incurred by the Tipp Tatler to effect collection. 20. Advertising of different products of the same company under a general display advertising agreement may be combined to earn the lowest applicable rate. 21. Incorrect rates on insertion orders which do not correspond to the rate card will be regarded as clerical errors and the advertisements will be published and charged at the applicable rates in effect at the time of publication. 22. Back-dating of contracts is not permitted. 23. Advertising is accepted by the Tipp Tatler subject to all terms and conditions herein. Forwarding of an order by the advertiser constitutes acceptance by the advertiser of all rates and conditions that exist when the advertising is sold by the Tipp Tatler, and those of subsequent rate cards. Forwarding of an advertising order also indicates acceptance of the advertising acceptability policies of the Tipp Tatler. In the event of a conflict between the advertiser’s order and the rate card, the rate card shall govern. 24. 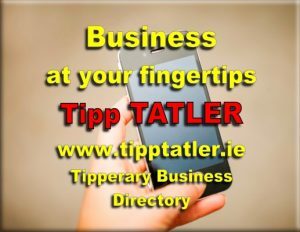 The terms and conditions of the rate card and all subsequent rate cards are incorporated into every advertising contract between the Tipp Tatler and the advertiser and/or agency. Submission of advertising subsequent to the receipt of such a contract constitutes acceptance of the terms and conditions of the contract. 25. The Tipp Tatler reserves the right to issue new rate cards and to revise its rates in writing, effective no less than five (5) days after distribution of the new rate card and/or of written notice of rate changes to the address of the advertisers or agency stated in a contract. 26. Contract requests must specify a definite beginning date and are subject to a rate card effective when the contract begins and subsequent rate card increases and modifications. Volume and frequency contract discounts will be earned only on advertising inserted within a Tipp Tatler calender year. Additionally, a contract is applicable to ads placed within a single advertising category. 27. The Tipp Tatler maintains a Business Production Department whose function is to examine advertisements before publication to determine if they meet the standards of acceptability the Tipp Tatler has developed over the years. 28. The final decision to accept or reject an advertisement rests with the Publisher of the Tipp Tatler. 29. The Tipp Tatler may decline to accept advertising that is misleading, inaccurate or fraudulent; that makes unfair competitive claims; or that fails to comply with the Tipp Tatler’s standards of decency and dignity. 30. If an advertisement contains statements or illustrations that are not deemed acceptable, and that the Tipp Tatler thinks should be changed or eliminated, the advertiser will be notified. The Tipp Tatler will attempt to negotiate changes with the advertiser; however, if changes cannot be negotiated, the advertisement will be declined by the Tipp Tatler. 31. In addition, an advertisement must sometimes be declined because of the applicability of laws dealing with such matters as libel, copyright and trademark, the right to privacy, the sale of securities, the sale or rental of real estate, fair employment practices, and political advertising. 32. The Tipp Tatler maintains clear separation between news and editorial matter and its advertisements. Accordingly, advertisements that include elements usually associated with Tipp Tatler editorial matter will not be accepted (for example, but not limited to: Tipp Tatler -style headlines, bylines, news-style column arrangements or typography). Additionally, the Tipp Tatler reserves the right to label an advertisement with the word “advertisement” when, in its opinion, this is necessary to make clear the distinction between editorial material and advertising. 33. If an Advertiser cancels the balance of a contract he relinquishes any right to the series discount to which he was previously entitled and advertisements will be paid for at the appropriate rate.